A can’t-miss learning opportunity for CTOs, senior developers and anyone interested in the possibilities of real-time big data. Find out how Fortune 100 companies are using top online advertisers that leverage real-time big data, NoSQL and other distributed database approaches. 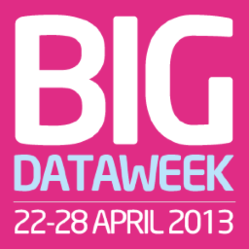 Dr. Srini Srinivasan, co-founder and vice president of engineering at Aerospike Inc., will speak at Big Data Week in Toronto, Canada April 23, 2013. His technical talk will focus on big data learnings from a vendor’s perspective. Find out how Fortune 100 companies are using top online advertisers that leverage real-time big data, NoSQL and other distributed database approaches that reliably respond in 5 milliseconds or less and process anywhere from 100,000 to 600,000 TPS—all while managing billions of objects and terabytes of data. Srini’s presentation will examine how these companies address real-time prioritization techniques, the benefits of SSD versus DRAM for these use cases, and deployment considerations around using a small number of high-end servers versus several less powerful nodes. The event will be hosted by Viafoura at 10 Dundas St East 3rd Floor, Toronto, Canada M5B2G9 from 6-9pm. Attendees can register for the event here. Srini’s years of experience working on the back end of big data architecture makes this a can’t-miss learning opportunity for CTOs, senior developers and anyone interested in the big picture of big data possibilities. He has over 20 years of experience in designing, developing and operating Web-scale infrastructures, and he holds over a dozen patents in database, Internet, mobile, and distributed system technologies. Srini joined Yahoo! as part of the Verdisoft acquisition, where as vice president of engineering, he oversaw the development of high-performance data synchronization products for mobile users. Srini also was chief architect of IBM’s DB2 Internet products, and he served as senior architect of digital TV products at Liberate Technologies.